During many of my projects I have been missing one important thing. A ball head to carry a heavy load! 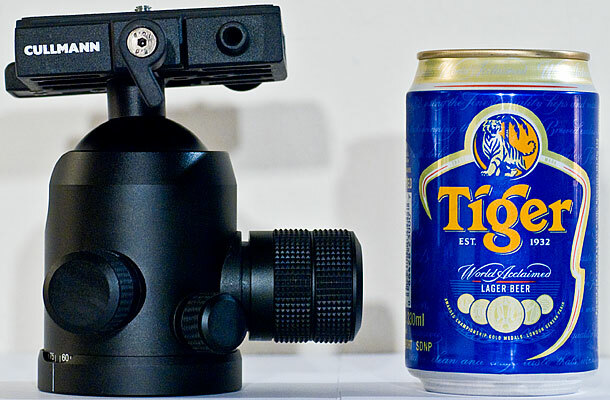 I should have bought this ball head a long time ago when I started my DIY projects "The diy aluminum 6x17 panorama camera" and "The scanner camera project"
for backpacking so here is my impressions of those two ball heads. This is the top model among the Magnesit ball heads, with an advertised load capacity of up to 30kg (66lb) and a torque resistance of up to 35 Nm (300in/lb). good grip and feels just right against my fingers. 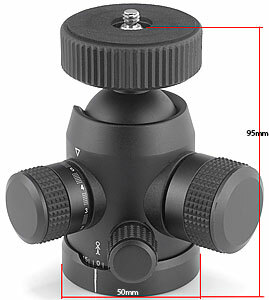 The Magnesit 35 as well as the 25 model has a 360° panorama scale. A notch in the head provides 90° tilting possibility for portrait photos. quite large 90x55mm and provides a stable platform for large cameras and lenses. Platform is delivered with both 1/4" and 3/8" connection. automatically when not in use. WB in the model name stands for Weight balance. 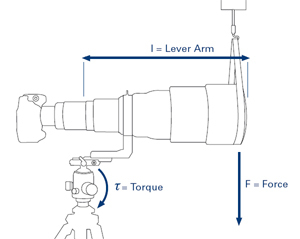 back or forth in the quick release about +- 15mm to improve camera/lens balance. that are 140mm long to make it possible to make even larger weight/imbalance compensations. The Cullmann accessory WB QR plate #4500 140mm long. Can contains 33cl of ice cold yummy fluid. and I would trust it to carry the most expensive gear without being afraid that it would fail. The controls are silk smooth and the ball locks in a manner that makes it feel rock solid. considered to be industry standard. large 35nm and is just as nice as the big one. The round platform is 50mm in diameter and is double sided with both 1/4" and 3/8" connection, one on each side so you have to unscrew it to switch thread size. so it unscrews a bit to easy and some times unintentional. 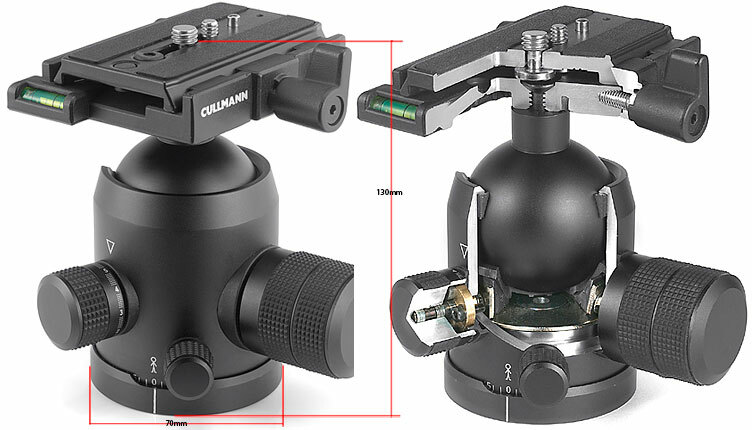 There is also an optional accessory Quick release unit the 40450 CULLMANN QR- Unit L available. at a bargain price to, when I do you will hear from me again!